The president of the American Federation of Teachers is coming to Phoenix on Monday to support striking Arizona teachers as they continue rallying for more funding. Randi Weingarten will speak at a rally and hold a news conference next to the state Capitol, which is where members of the #RedforEd movement will congregate. Organizers say the teachers also plan to spend part of the day meeting with legislators. Arizona teachers' walkout over pay and education funding appears headed into a third day as major school districts in Phoenix and across the state including in Tucson and Flagstaff say schools will remain closed Monday. The unprecedented statewide job action began last Thursday, resulting in closures of schools that educate the vast majority of Arizona's 1.1 million public school students. Republican Gov. Doug Ducey and GOP legislative leaders said Friday they had reached a budget agreement to boost teacher pay by 20 percent by 2020. "This plan benefits our children's education across the state, and we are working through the weekend to introduce a budget early next week and pass it shortly thereafter," Ducey said in the statement with Senate President Steve Yarbrough and Speaker J.D. Mesnard. Leaders of teacher groups said Saturday the announced agreement at this point is only a press release and that their other concerns remain unaddressed. "We have no bill. We have no deal. 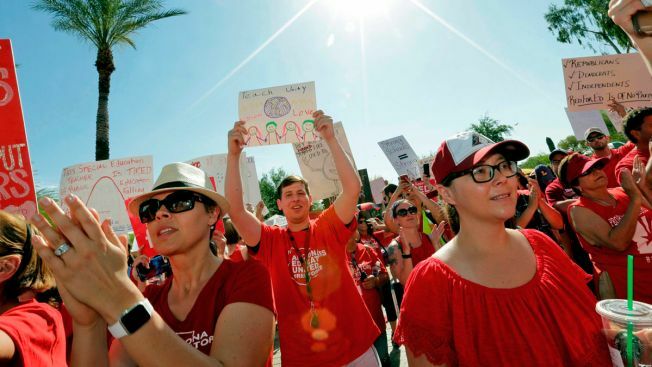 The devil is in the details," Joe Thomas, Arizona Education Association president and Noah Karvelis, Arizona Educators United organizer, said in a joint statement. 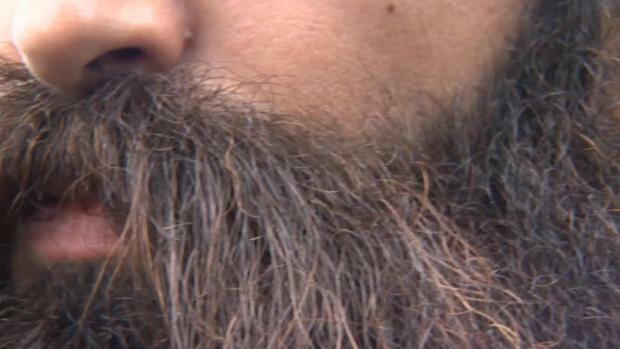 "We had overwhelming support for continuing to Monday," Karvelis said. "We are taking it day by day right now because we need to be responsive to the legislature." Recent teacher protests in Arizona and Colorado have followed similar job actions in West Virginia, Kentucky and Oklahoma. In the past several weeks, Weingarten has marched with West Virginia and Oklahoma teachers and their supporters to call on the states' legislatures and governors to stop decades-long education budget cuts and pass laws to adequately fund public schools and teacher salaries. ATF officials said that because of persistent budget cuts, Arizona public schools are short almost $1 billion in yearly funding from what they need to provide a robust, quality education. According to teacher groups, restoring the cuts could pay for much-needed textbooks; the creation of a curriculum aligned to standards; 100 percent funding for all-day kindergarten and pre-K programs; the restoration of arts classes, programs for gifted students and alternative programs for special education students; and fixing older school facilities and building new schools to reduce overcrowding.